ChemTech Consultancy was founded in 2002 by Director Alan Watson, utilising over 35 years’ experience in the water treatment industry. Centrally headquartered in Linwood, there is a second office in Aberdeen operating under the AWT banner, a firm acquired by ChemTech Consultancy in 2013. From these two offices, we service the whole of the UK. Please print our new annual certificate from here. You can find our up-to-date insurance covering letter here, Professional Indemnity and our Employers Liability Insurance which are available to print. Other water hygiene services as recommended under the Approved Code of Practice L8. ChemTech are also Scottish Agents for Sentinel Commercial and are able to offer Sentinel’s full range of products for the protection of closed systems from corrosion and fowling. We can offer expert service on the application of the products and carry out full “clean and protect” turn key projects. 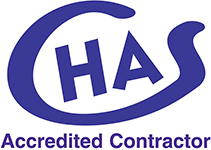 ChemTech Consultancy are highly qualified, possessing quality standards accreditations, as well as being members of the Legionella Control Association, and several individual staff are members of the Water Management Society.